Perfectly located on the ocean 15 minutes to the elegance and shopping covenience of Boca Raton to the north; as well as the excitement and interesting sites of Fort Lauderdale to the south. 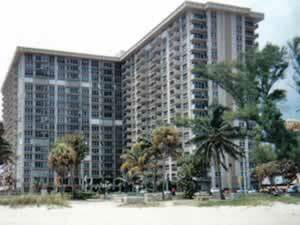 Only 20 minutes from Fort Lauderdale International Airport. Many great retaurants are in the area and grocery shopping is less than a mile away. 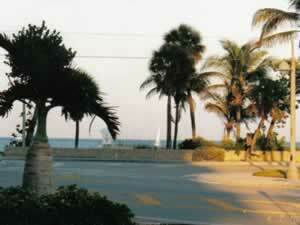 Ocean setting with a great 36 hole public golf course located 1 mile away. $25 with cart after 2:00PM. Walk out the front door of the building and there's the ocean. Brand new Simmons pillow top King bed. Pull out Queen size couch. Bedroom furiture includes King bed, large dresser and two end tables with lamps , all of which are brand new. TV in the bedroom. Bathroom was completely updated last November. All new fixtures, vanity, floor and walls. Large all tile shower. There is a convenient half bath for guests. Has all three new appliances. Ice maker in fridge. 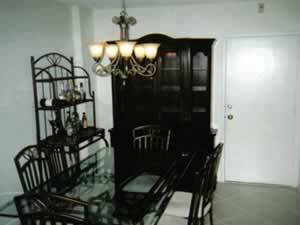 Dining room has brand new table and chairs and baker's rack hutch. Eat-in kitchen with TV. 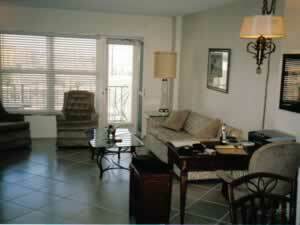 There are doors from the bedroom and the living room leading to the balcony which has a view of the Intercoastal. The living room has a TV. There is an assigned covered space for each condo in addition to many quest spaces. 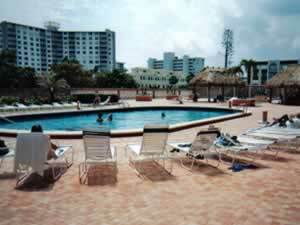 There is a beautiful heated pool for residents with tiki huts and new bricking and lanscaping. Washers and dryers are located on each floor. The Gym has up to date excersize equipment and is only for residents. In addition there is a card room and a library room with Friday evening movies and other activities. Pool, exercise room and sauna are for use of residents and their guests only.